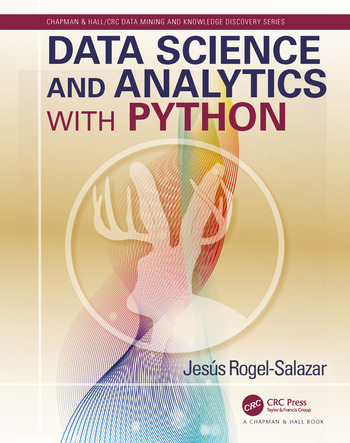 New books on Data Science and Analytics with Python, Large-Scale Machine Learning in the Earth Sciences, and Social Networks with Rich Edge Semantics - save 20% with code JWR38. Use Promotion Code JWR38 to save 20% off your purchase today. Data Science and Analytics with Python is designed for practitioners in data science and data analytics in both academic and business environments. The aim is to present the reader with the main concepts used in data science using tools developed in Python, such as scikit-learn, Pandas, Numpy, and others. The use of Python is of particular interest, given its recent popularity in the data science community. The book can be used by seasoned programmers and newcomers alike. Large-Scale Machine Learning in the Earth Sciences provides researchers and practitioners with a broad overview of some of the key challenges in the intersection of Earth science, computer science, statistics, and related fields. It explores a wide range of topics and provides a compilation of recent research in the application of machine learning in the field of Earth Science. Social Networks with Rich Edge Semantics introduces a new mechanism for representing social networks in which pairwise relationships can be drawn from a range of realistic possibilities, including different types of relationships, different strengths in the directions of a pair, positive and negative relationships, and relationships whose intensities change with time. For each possibility, the book shows how to model the social network using spectral embedding. It also shows how to compose the techniques so that multiple edge semantics can be modeled together, and the modeling techniques are then applied to a range of datasets.